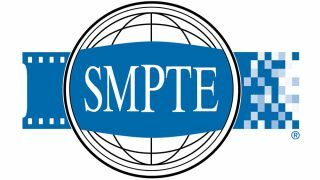 SMPTE has published two documents, the Time Code Summit Report and the Material eXchange Format (MXF) Time Code Study Report. Both reports offer valuable insights into how the SMPTE Time Code standard (ST 12-1 Time and Control Code) can evolve to serve as a more useful tool in media production. "SMPTE Time Code is used extensively throughout production and postproduction. With the evolution of media technology since its introduction in 1975, it is showing its age in some areas," said SMPTE Director of Engineering and Standards Howard Lukk. "We are exploring ways to improve Time Code. The results of the Time Code Summit Report provide a better understanding of the drawbacks in its current use, in and beyond the conventional audio/video community, and of the direction we need to take in developing a new standard. At the same time, we're using the MXF Time Code Report to clarify Time Code in MXF and how facilities can work with it more efficiently." The Time Code Summit Report presents the methodology and findings of surveys performed at the Time Code Summit, a series of focus groups held in London, New York, and Los Angeles. The report summarizes user requirements that must be addressed by any new Time Code standard, particularly the proposed Time Labels standard to address the radical changes brought about by the industry's integration of Internet Protocol (IP), the push to higher and variable frame rates, and other factors testing the limits of the existing Time Code standard. The report also includes an explanation of the study effort, the survey questions asked and answers provided, and the dialogue that occurred at each summit.